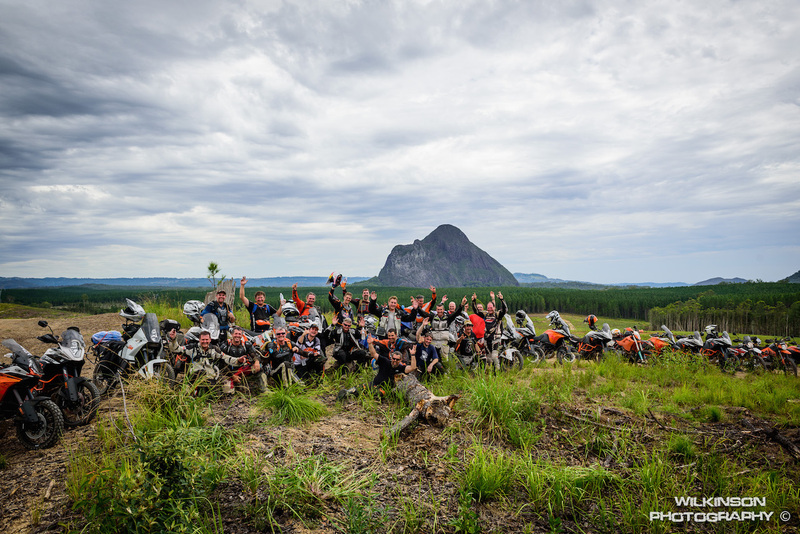 The first round of KTM Australia’s Adventure Training Series concluded at the weekend with 55 orange adventurers having brushed up their skills and trail craft under the sage guidance of some of the biggest names in big bike riding and racing. The series took place across three states, with weekends at Woodford (Qld), Bowral (NSW) and Dixons Creek (Vic) with a format jam-packed with adventure riding skills, navigation training and of course socialising with like-minded adventurers. The sessions were open to all orange adventure riders with KTM Adventure / Super Adventure machines, or enduro models over 640cc. Participants were treated to many spectacular examples of how unbelievably off-road capable KTM’s Adventure bikes really are, in the hands of riders such as Kiwi hard-enduro ace Chris Birch – who had his KTM 1190 Adventure R eating out of his hand at every opportunity. Also providing invaluable coaching, experienced adventure tour operator Nick Selleck provided a unique insight and wealth of helpful information on GPS navigation. Multiple Aussie enduro and Finke champion and two-time Dakar entrant Ben Grabham put a KTM 1290 Super Adventure through its paces while helping out the group. As approachable as he is fast, Grabbo was always happy to share his broad experience with riders interested in his many and varied career exploits. Series Coordinator Rosie Lalonde was extremely pleased with the success of the inaugural adventure training series. “Chris and Nick were incredibly knowledgeable and helpful with everyone. And it was great for riders to meet Ben and see him ride, plus on the Friday nights the riders could talk to him about his Dakar and other racing experiences, so it was really cool to have the guys hear direct from him. “I appreciate that both Chris and Nick took time out of the group to personally work with me on some of the techniques that I had troubles with. It was a fun atmosphere to be in and well planned event the lodgings were great as was the amount and quality of food. To get an idea of what the KTM Adventure Training Series was all about, check out a two-part video from MAD TV showcasing our NSW course . . .